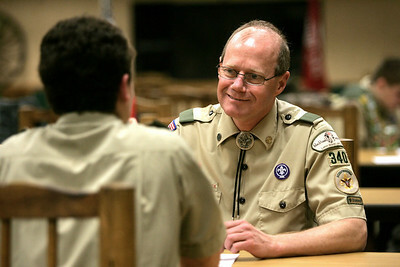 Monica Maschak - mmaschak@shawmedia.com Scout Master Edward Piesens meets with individual boy scouts from troop 340 for a Scout Master conference during a scout meeting in Spring Grove. 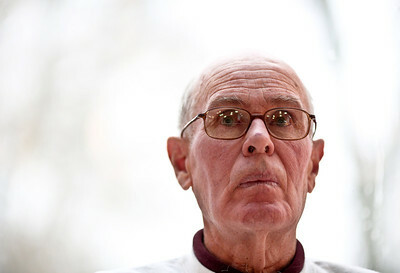 Piesens still volunteers his time as the scout master even though his children have aged out of the scouts. Morgan Ellingson - mellingson@shawmedia.com Jerry Eiserman, retired Parkland Middle School teacher, was nominated as an Everyday Hero for his work with Mission Possible. 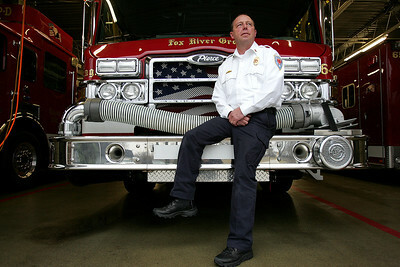 Monica Maschak - mmaschak@shawmedia.com Fox River Grove Fire Deputy Fire Chief Jim Kreher has volunteer with the Illinois Fire Safety Alliance for 35 years. For the past two years, he has been a director of the alliance, which works in the state of Illinois to support fire prevention, fire education, Bath Buddies, Juvenile Firesetter Intervention programs and "Camp I Am Me" for burned children. Josh Peckler - Jpeckler@shawmedia.com Irene Garza of Lake in the Hills gets a kiss from her dog Love at her home. Garza donated one of her kidneys to a friend five years ago. The friend continues to do well today, and Garza has become an honorary member of her friend's family. Monica Maschak - mmaschak@shawmedia.com Judy Pelinski has been the head chairwoman for Community Harvest for the last seven years. 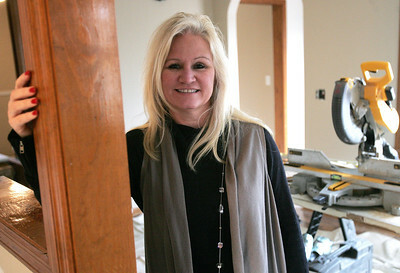 Pelinski is also the owner of Fresh Look Interiors Home Stage and Redesign. She redesigns the interior of existing homes to rework the space into a modern, functional living space for homeowners and renters. 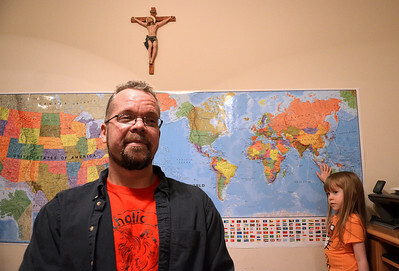 Monica Maschak - mmaschak@shawmedia.com Justin Smith, of McHenry, is the president of Catholic Assistance Missions, which raises money to help those in need in Haiti. The organization, based out of McHenry, built a school for 250 Haitian children, where Smith had done the electrical work, and bought donkeys for the families with children attending the school. Smith keeps returning to Haiti to deliver food and assist those in need. 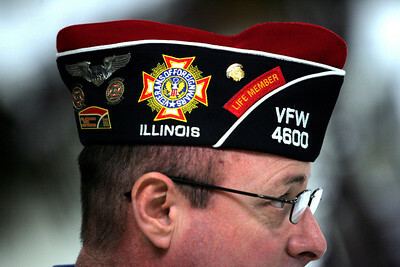 Monica Maschak - mmaschak@shawmedia.com Joe and Rose Lewis are members of the McHenry County Vietnow Chapter. For years they have been bringing food and Christmas gifts to families in need throughout the county. Monica Maschak - mmaschak@shawmedia.com McHenry VFW Post 4600 Commander Ron Reber spends a lot of his time volunteering with and honoring veterans. He organizes many events at the VFW for Flag Day, Memorial Day, Independence Day, Thanksgiving for the Sailors and much more. Monica Maschak - mmaschak@shawmedia.com Sue Cisko (right) and her neighbor Marlene Nei walk around their neighborhood together daily. 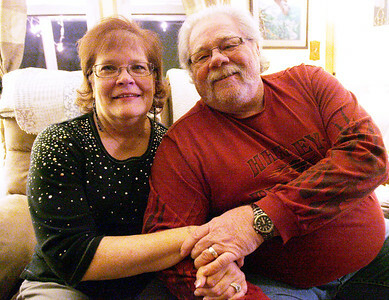 Cisko has supported of Nei and her husband Bill, during his cancer treatments. 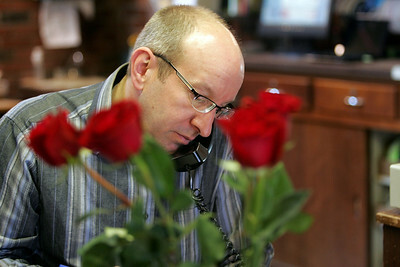 Monica Maschak - mmaschak@shawmedia.com Owner of Locker's Flowers John Dietrich takes a phone order in the McHenry store. Dietrich donates flowers to a nursing home, Alden Terrace, to be distributed to the women living there. Monica Maschak - mmaschak@shawmedia.com Kristen Semrich, 28, is a sixth grade substitute teacher at Dundee Middle School by day and a dance instructor at Broadway Academy of Art and Dance in Richmond by night. 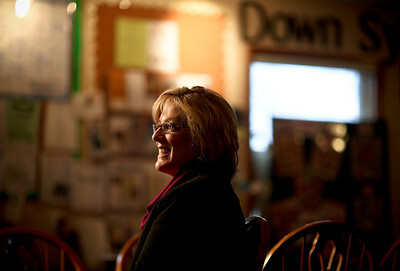 Semrich used to mentor young women as a local dance coach. She has been to Peru to do mission work with women and children and she volunteers her time for charity work events, such as Feed My Starving Children. 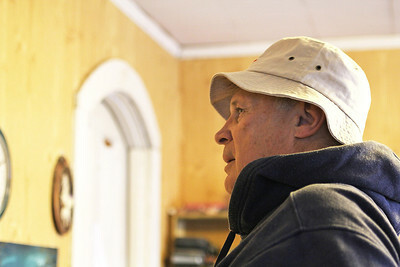 Josh Peckler - Jpeckler@shawmedia.com Tom Erwin of Cary volunteers his time as a handyman at Turning Point, a domestic violence agency in Woodstock. 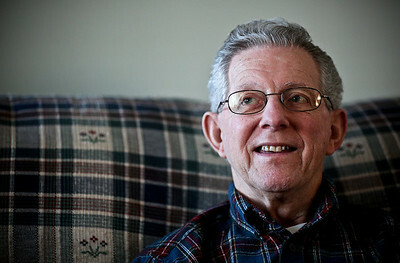 Josh Peckler - Jpeckler@shawmedia.com Bob Brown volunteers as a carpenter with Faith in Action which helps older adults improve their quality of life and remain independent for as long as possible. 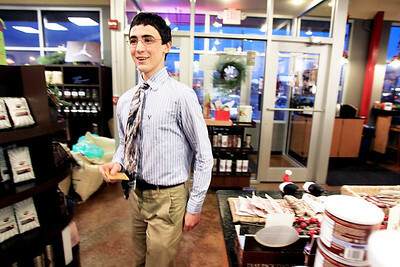 Sarah Nader - snader@shawmedia.com Bradley Jones, 17, of Crystal Lake hands out gift cards to customers at Conscious Cup in Crystal Lake in December. Jones did a random act of kindness each day in December. His actions included fill in up a person's gas tank, buying flowers for a stranger, baking cookies for a classmate and handing out gift cards to strangers. 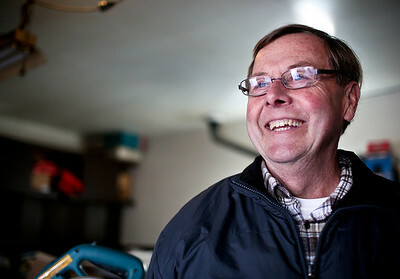 Josh Peckler - Jpeckler@shawmedia.com Bob Brown volunteers as a carpenter with Faith in Action which helps older adults improve their quality of life and remain independent as long as possible. Josh Peckler - Jpeckler@shawmedia.com Chris Newlon volunteers at GiGi's Playhouse in Mchenry as part of her tireless work raising awareness about Down syndrome. Josh Peckler - Jpeckler@shawmedia.com Joe Alger, chief operating officer for JA Frate in Crystal Lake was nominated as a everyday hero for his work with local veterans in the community. He helps organize veteran homecomings with the Warriors Watch and has created murals honoring fallen local soldiers on the side of JA Frate's trucks. Josh Peckler - Jpeckler@shawmedia.com Jim Lalor volunteers every Friday for "Meals on Wheels,” a Salvation Army program which delivers meals to families in need. Josh Peckler - Jpeckler@shawmedia.com Elizabeth Phelps walks through the halls at Family Health Partnership Clinic in Woodstock. 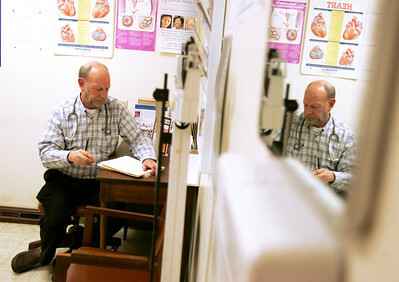 Phelps volunteers at the clinic three times a week contacting patients about appointments and medicine pickups. Christine Nikolich - cnikolich@shawmedia.com Dave Van Geest volunteers at the Hoffman Estates-based Fellowship Housing, a service group for single mothers and homeless women. 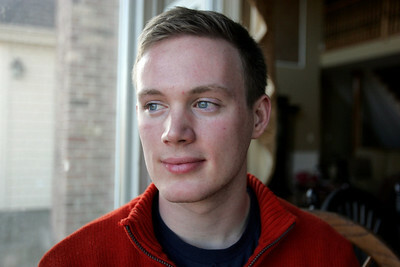 Van Geest works as a one-man IT department for the group. 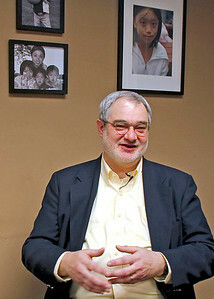 Van Geest helped revamp the group's website and services client's personal computers when they need repairs. Van Geest devotes about 150 volunteer hours a year to the group. Josh Peckler - Jpeckler@shawmedia.com Occupational therapist Sakina Kapadia works with Aaron Miller, 3 during a therapy session at Milestones Therapy in Crystal Lake. 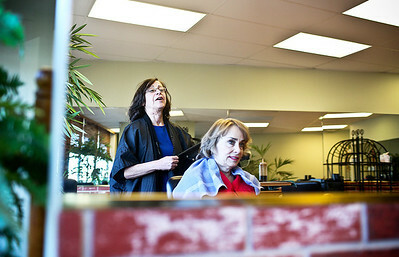 Josh Peckler - Jpeckler@shawmedia.com Terrie Mayer (left) of Island Lake talks with Carol Calcitrai, also of Island Lake as Mayer colors her hair at Power Salon in Crystal Lake. Mayer styles hair for some clients for next to nothing out of the goodness of her heart. 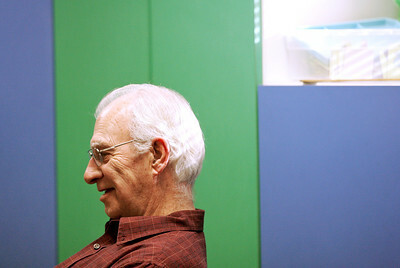 Monica Maschak - mmaschak@shawmedia.com Dr. James Mowery looks over some patients' charts in an examination room at the Family Health Partnership Clinic in Woodstock. Every Thursday, Dr. Mowery volunteers his time away from his practice to provide free care to the county's most vulnerable residents. Monica Maschak - mmaschak@shawmedia.com Bud Oughton, 80, has served on the Adult and Child Therapy Services board of directors in Woodstock for 18 years. Oughton also is considered the handyman for the agency ACTS when it comes to repairs and building needs. Monica Maschak - mmaschak@shawmedia.com President of Harvard High School's music booster club. 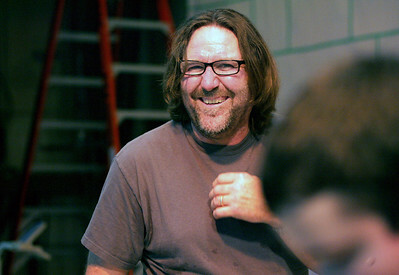 Miller, a Harvard alumnus, has been volunteering with the high school's fine arts and music department almost every day for eight years. Monica Maschak - mmaschak@shawmedia.com Zack Seiler, 19, of Crystal Lake, attends McHenry County College under a Presidential Scholarship. Aside from being a full-time student, Seiler works part time as a physical therapy technician at Accelerated Sports Rehabilitation Centers and volunteers countless hours at PADS. Seiler was nominated for his selflessness and positive attitude. 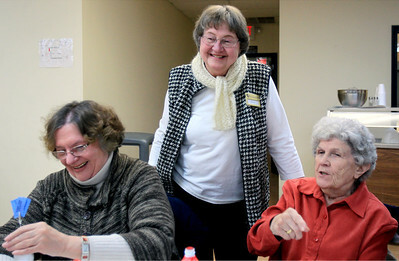 Sarah Nader - snader@shawmedia.com Carol Lee (center) of Johnsburg greets Carol Curran (left) of McHenry and Rosalyn Kollenkark of McHenry while working at Senior Services in Johnsburg. 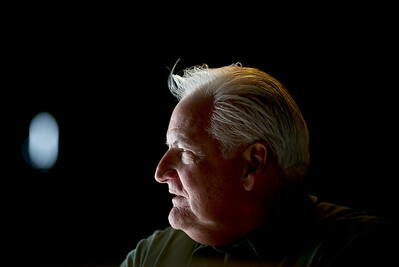 Sarah Nader - snader@shawmedia.com Mike Splitt poses for a portrait at his Insync Systems office in Crystal Lake. Splitt, who owns Insync Systems, was instrumental in organizing the Crystal Lake Kiwanis Club's first ever Santa Run in December.Nearly 700 runners, dressed in Santa outfits, raided money for Girls on the Run, Big Bros/Big Sisters, CASA and other organizations. 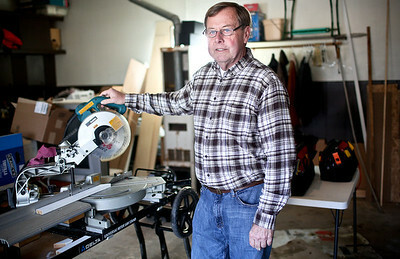 Bob Brown volunteers as a carpenter with Faith in Action which helps older adults improve their quality of life and remain independent as long as possible.